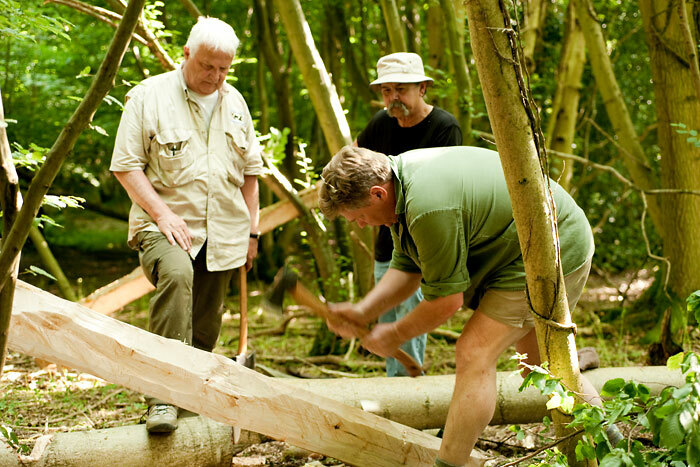 This week sees an incredibly unique course taking place right here in the UK, in celebration of Woodlore’s 30th Anniversary. 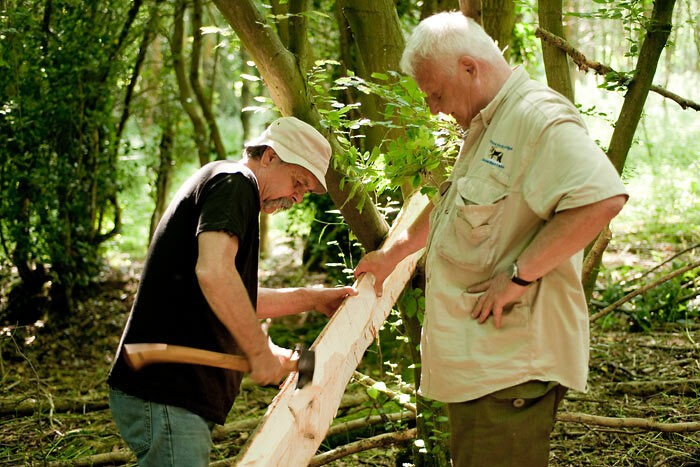 The Birch Bark Canoe Building Course started yesterday afternoon, and has brought together some highly influential figures from the world of Bushcraft. 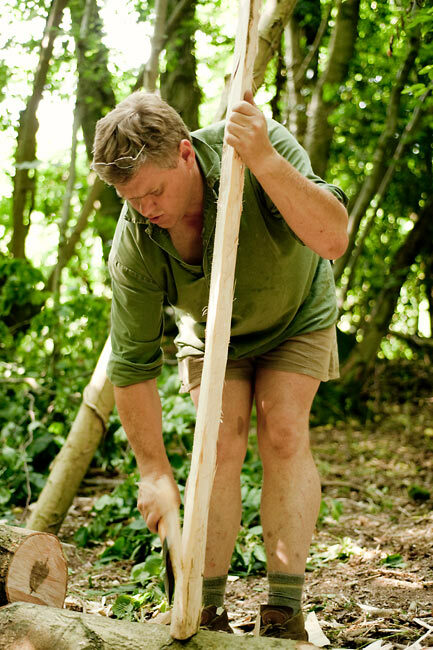 Almost a decade after they first joined forces for the legendary Birch Bark Canoe episode of Bushcraft Survival, Ray Mears and Pinock Smith – the revered Algonquin Indian canoe builder – have teamed up once again for this very special course. And, if two masters of the outdoors weren’t quite enough, students will also have the company of our special guest for the week, Mr. Lars Falt. We visited the course site yesterday afternoon in glorious sunshine, ahead of the students’ arrival. 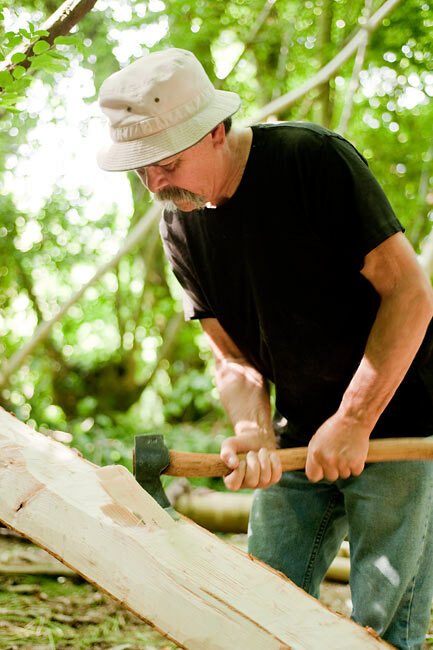 Ray, Pinock and Lars were already hard at work in the shade, carving two canoe paddles while catching up on years gone by. With a superb team in place and the sun due to continue, this week looks set to be a very memorable course for all involved. We’ll be visiting each day to give you a behind-the-scenes look at this once-in-a-lifetime course, so stay tuned to the blog for updates on the group’s progress. 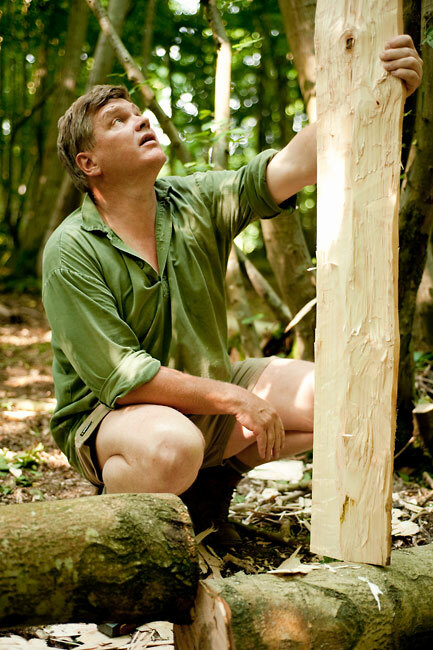 This entry was posted in Bushcraft Courses & Expeditions, Ray Mears on July 15, 2013 by Woodlore Team. It’s Day 3-what’s the progress? My husband is in his element, he lives and breathes these skills and teaching in his daily profession, and this fantastic collaboration to celebrate the 30th Anniversary, is wonderful. The years of experience in one location being shared with students, means a great deal to the fans. Happy 30th Anniversary, can’t wait to see the end product. It will be great to see the Canoe come to life.